Report observations of coral bleaching and disease! 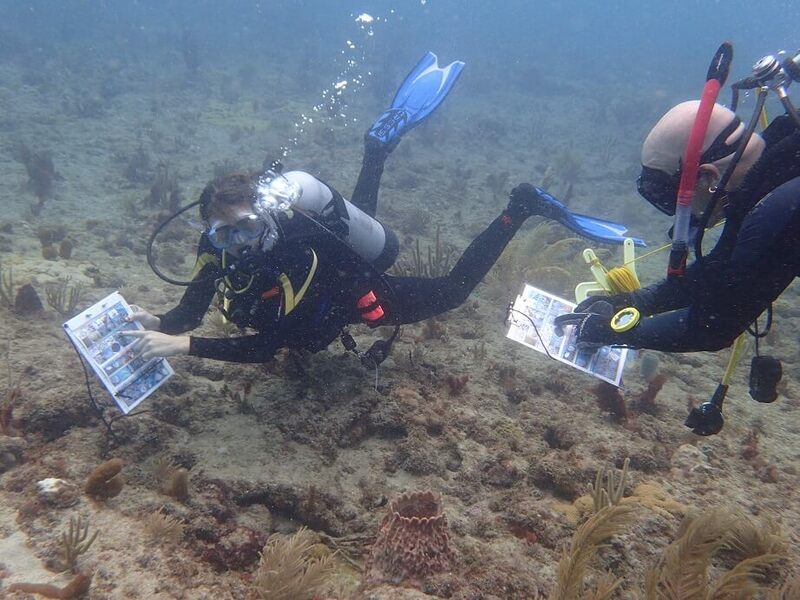 Collecting field observations on the condition of reefs from trained observers. A 1.5-hour classroom session includes an introduction to SEAFAN; a short lesson on coral biology, bleaching and disease; a description of the BleachWatch Early Warning Program and an overview of how to properly assess coral condition, record observations, and submit reports. In-water trainings take divers in the field to practice identifying healthy, bleached, and diseased coral, as well as recording observations underwater and filling out BleachWatch reports. All participants will be provided with a BleachWatch Kit, which includes a program overview, coral bleaching fact sheet, data sheets and instructions, dive whistle, and coral ID and bleaching example cards to use as a reference below and above the water. In-water trainings take divers in the field to practice identifying healthy, bleached, and diseased coral. Progression of coral tissue bleaching from healthy on the left to completely bleached on the right. BleachWatch in-water training with Pura Vida Divers and Friends of Our Florida Reefs 2017. Interested in becoming part of the SEAFAN BleachWatch Observer Network? 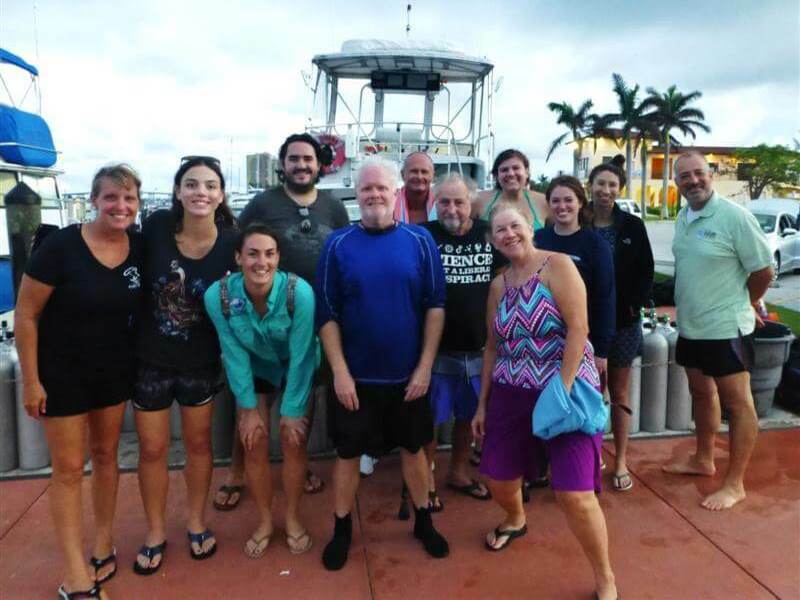 Contact Kristi Kerrigan at 305-795-1204 or Kristi.Kerrigan@dep.state.fl.us about participating in a classroom or in-water training session. 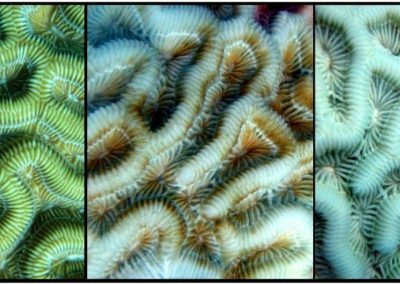 For more information on how the BleachWatch program works and the biology of coral bleaching, please visit the BleachWatch page.